The demand for corrugated boxes created a demand for an efficient, inexpensive way to convert corrugated board into boxes. Flexo Folder Gluer (FFG) , a high quality, technically sound machines that were reliable, quick to set up and easy to operate and maintain, helps to meet the above-mentioned demand. FFG, an automated machine that combines printing, slotting, scoring, folding, gluing and box counter , was then invented in 1959. 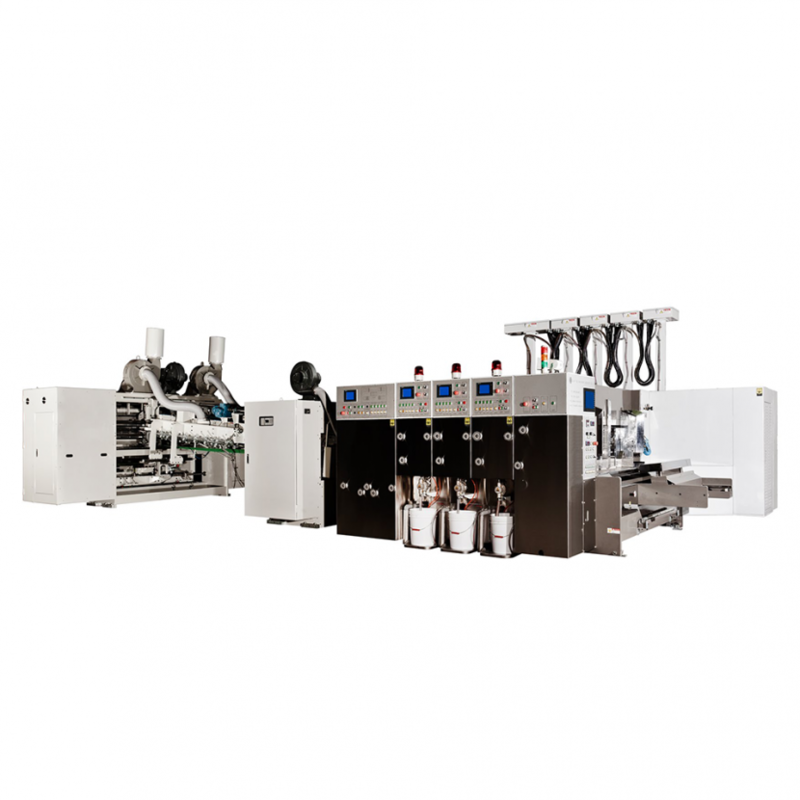 This machine, named the Flexo Folder-Gluer, has mainly replaced Printer Slotter with Flexo Printing part and Folder Gluer with Flexo Gluer part. The in-line process greatly reduced the cost of corrugated boxes without compromising the corrugated boxes' quality.